As of August 14, the federal government has attempted to censor, misrepresent, and otherwise stifle science over 150 times. We know this because, in January, the Sabin Center and Climate Science Legal Defense Fund launched the Silencing Science Tracker (SST). As its name suggests, the SST records federal government action to “silence science,” for example by restricting scientific research or the publication of scientific information, since the November 2016 election. When the SST was launched, we had 96 entries, meaning that there had been almost two attempts to silence science each week during the fourteen months after President Trump was elected. Since then, the Trump administration’s attacks on science have accelerated, with the SST now containing 155 entries. 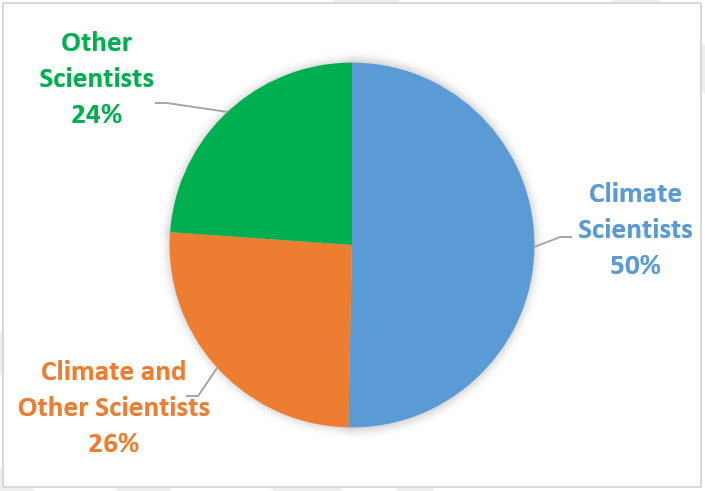 Of the 155 SST entries, over three-quarters (118) involve attempts to silence climate science, with the remainder targeting scientists who work in other subject areas. 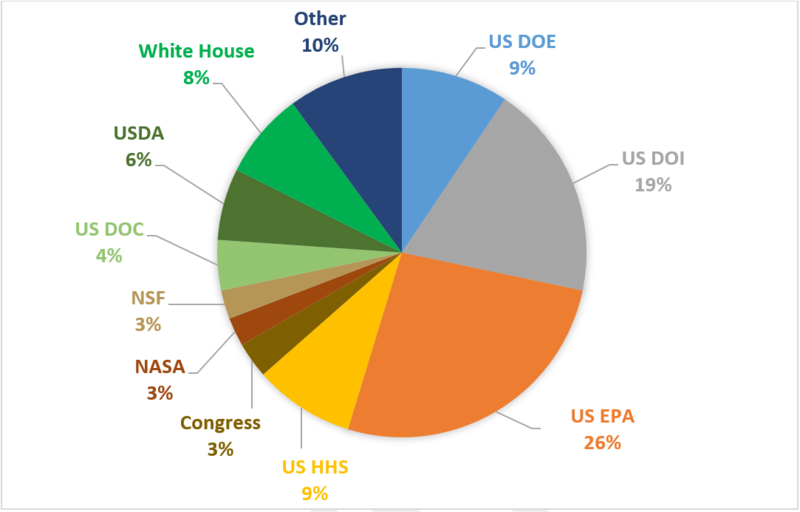 Across both categories, the highest number of attacks have originated at the U.S. Environmental Protection Agency (EPA), which accounts for 26% (42) of all SST entries. The U.S. Department of the Interior (DOI) is not far behind, accounting for 19% (30) of all entries, followed by the Departments of Energy (DOE) and Health and Human Services (HHS), which account for 9% (14-15) each. That these four agencies dominate the SST is unsurprising. Each is responsible for developing policy in an area where science is often at odds with the Trump administration’s priorities. For example, President Trump has directed EPA and DOI to reconsider regulations adopted to control greenhouse gas emissions, despite the wealth of data showing that those emissions are the key cause of climate change. Faced with this contradiction, both agencies have sought to downplay the science, including by restricting the availability of information (for example, by removing climate data from websites and deleting references to humans’ role in climate change from reports). Similar action has also been taken by a raft of other entities, with the SST indicating that at least 20 different federal bodies, including both Congress and the White House, have attempted to restrict access to scientific information or otherwise silence science. Government censorship, which includes any action making scientific information more difficult to find or access, including changes to government websites that suppress or distort scientific information. Self-censorship, which involves government scientists voluntarily changing websites or documents to suppress or distort scientific information, potentially in response to political pressure. Budget cuts, which encompass reductions in funding for existing programs involving scientific research and education, and the cancellation of existing grants. Personnel changes, which include the removal of government scientists, the failure to fill scientific positions in government, and the appointment of unqualified individuals to such positions. Research hindrance, which involves actions preventing or hindering the conduct of scientific research, such as the destruction of needed data. Bias and misrepresentation, which involves the government misrepresenting or mischaracterizing scientific studies, or engaging in cherry picking. 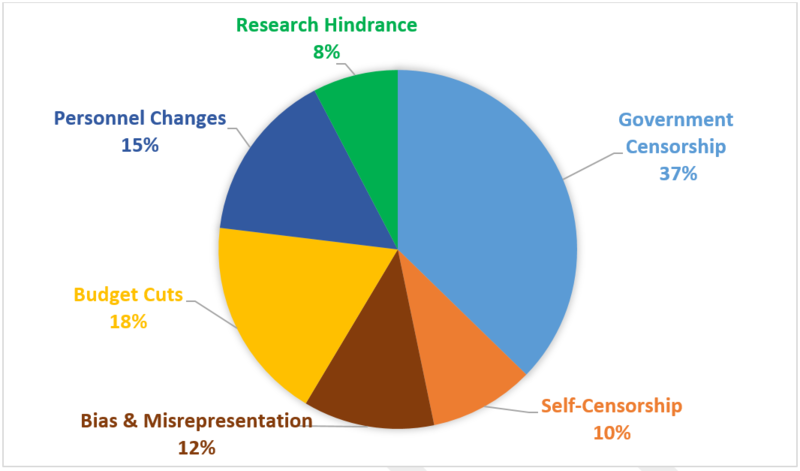 The “government censorship” category currently includes the most entries, accounting for 37% (63) of the total. Many of the entries relate to changes to agency websites, particularly those managed by EPA and DOI, to remove references to “climate change” (see here for another example). Climate science has also been targeted in other ways, for example, by government entities cutting funding for climate change research and reassigning climate scientists to work on unrelated topics. Perhaps most concerningly, some entities have even been misrepresenting climate science, and casting doubt on proven scientific facts. Unfortunately, if past experience with the Trump administration is anything to go by, these attacks are unlikely to end anytime soon. The recent attacks on science, and possible responses, will be discussed at a Climate Week NYC event co-hosted by the Sabin Center, Climate Science Legal Defense Fund, Sallan Foundation, and Columbia’s Earth Institute. For more information, and to register, visit the event page here.